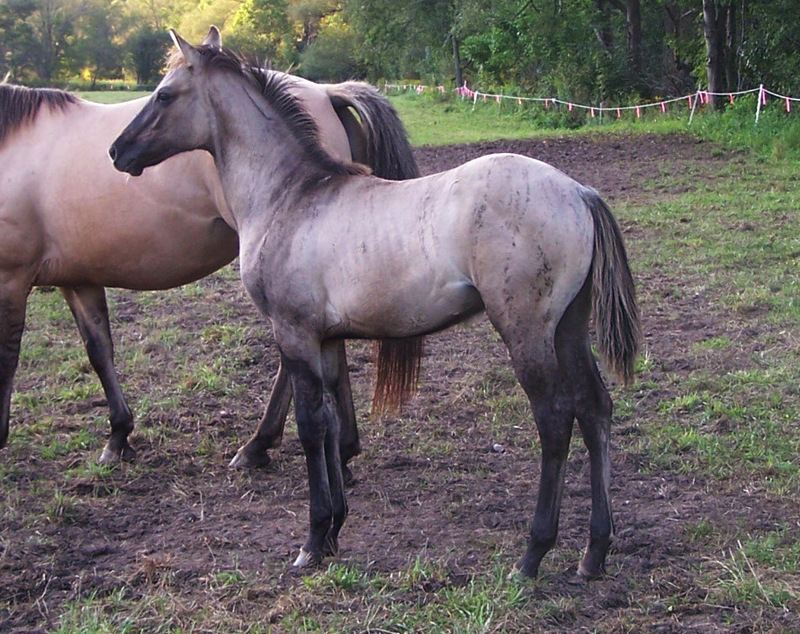 2009 Partial Brindle Grullo Colt. This little guy has really settled in here nicely, He has a really nice disposition about him, his conformation so far shows to be good and very promising. You can see his sire and dam below. 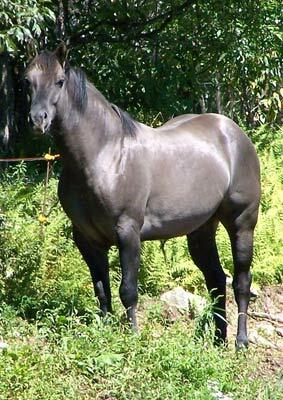 My thoughts on this guy is to cross him back on my "inheritable brindle" mares that I have and also a few of my mares that have the same type of partial brindling as this guy does. On our inheritable line we have and are working with is a much different type of brindle pattern compared to what the publics eye "likes to see". I want to try and make that inheritable brindle "POP" just a little more if possible. I will be standing him to the public when he is of age for a reasonable price. 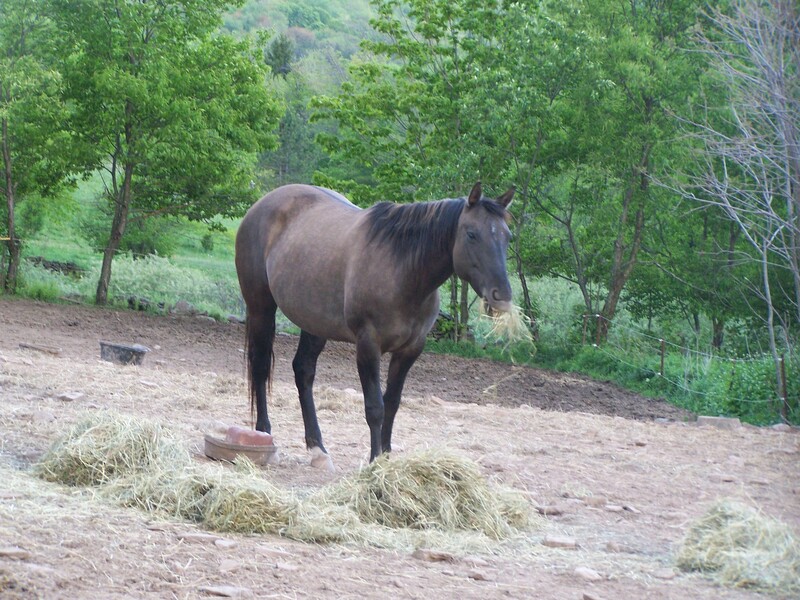 I feel if people will breed to a brindle horse and given the chance to produce some foals, we can see more variety of what type of foals they will throw. This little guy is also loaded with dun factor, don't let that mislead you because "Dun Factor" & "Brindle" are two different things. Although he has BOTH assets I'm hoping for a little Brindle Gene. 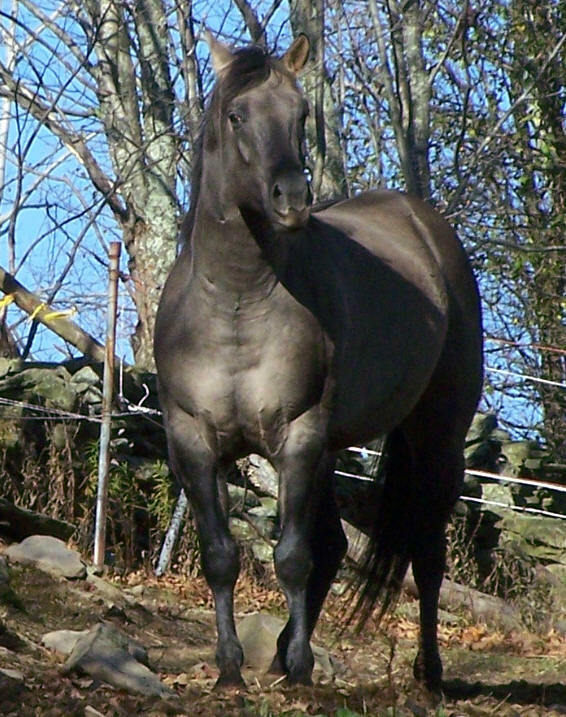 The pictures below are of his sire and dam.